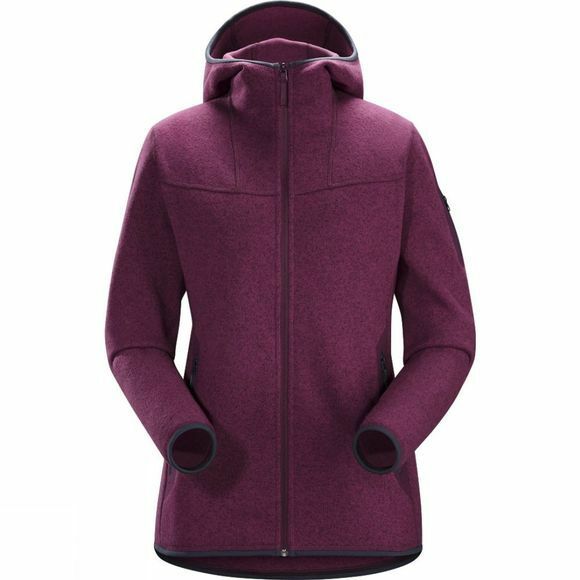 The Women's Covert Hoody gives everyday style the comfort of a performance fleece. The longer hip length and zipped pockets make it ideal for camping, hiking and general life about town. The Alpenex Heathered fabric from Arc'teryx is a brushed back knit polyester which has the smart look of a wool sweater but is engineered to provide the versatility, warmth and comfort of a technical fleece. Colour contrast binding on hem, cuffs and hood.